An Egyptian woman died on Tuesday of H5N1 bird flu after coming into contact with infected birds, the second death from the disease in two days and the third in the country this year, state newspaper Al-Ahram reported. The 30-year-old woman was from the province of Minya, south of Cairo, the health ministry said in a statement reported by Al-Ahram on its website. She died in a hospital in the southern city of Assiut. The ministry was quoted by Al-Ahram as saying that they have identified a total of seven cases of the virus this year, including the three who died. 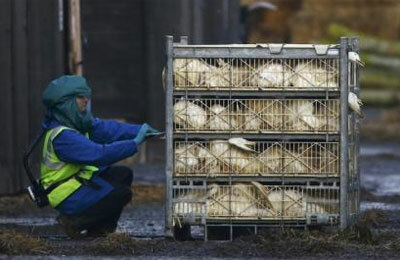 The World Health Organisation warns that whenever bird flu viruses are circulating in poultry, there is a risk of sporadic infections or small clusters of human cases, especially in people exposed to infected birds or contaminated environments.